What are the Best Ways to Choose Car Rentals in Melbourne? Taking a trip is always fun, especially when you go away with your friends or family to spend holidays. However, you should not relate the trip just with fun as there are so many things that you should consider to make your trip more enjoyable. First and foremost consideration should be given to your transportation needs so that your journey will be as smooth and comfortable as possible. If you are traveling abroad, especially to Melbourne, you will not be able to bring your own vehicle. In that scenario, you can make use of car rentals in Melbourne. First of all, you can explore the websites of as many car rental companies as possible. You can go straight to the company’s website and look for the best deals that would suit your budget. There are many travel websites around where you can gather complete information about the rental services available in your destination. You should avoid using airport car hire so that you can avoid excess airport fee. Everyone is aware of the fact that airport rental cost is greater than other car rentals. So, shop around to find the company that can ensure affordability without compromising on the quality. It would be a better idea to go through review websites where you can find the testimonials and feedback of the customers. These websites will also provide rating which helps you choosing the most reliable service provider. Booking earlier helps you get the cheap car hire Melbourne. This is especially true if you are planning for a trip during peak season time. It is also quite possible to negotiate the price when you use the service for longer time. You can spend the saved money on hiring a type of car you wish. 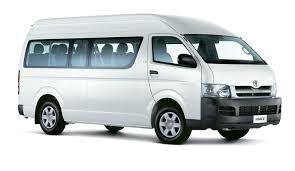 You can explore any possibilities of special offerings or special rates that the car hire companies usually offer. Many recognized car rental companies will be offering special discounts for their customers who use their cars regularly. This can be a great opportunity to get cheap car rentals in Melbourne. AUZ Rental Cars is one of the well established car hire companies offering flawless services at reasonable prices to Melbourne travelers. With years of experience in the industry, we are able to better understand and cater to our customers’ needs. So, call us today, know our best offerings and book with us for your next Melbourne trip.